I've said before on this blog that I'm not much of a camera gear head and I'm not one to begin salivating every time a new lens comes on the market. However, I do believe that it is important to have a camera and lens(es) that you connect with and feel comfortable using. That's what I feel with my Fujifilm X-T1 and the handful of lenses I have for it. I love shooting with that camera and anything else in the digital realm just doesn't do it for me. Is it a perfect camera? No, not at all. 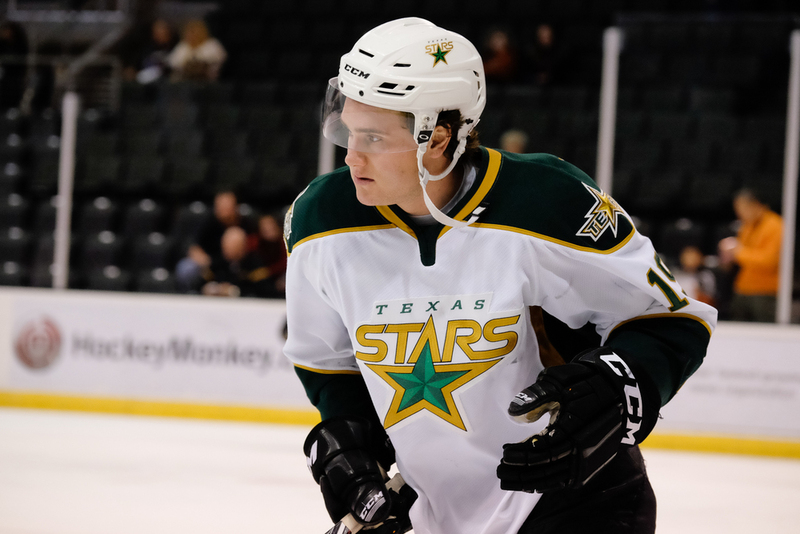 In fact, it downright fails at one of my primary photography jobs - covering pro hockey games for the Texas Stars. I have a Nikon based DSLR rig for that. Now, I do like my Nikon gear. I don't love it though and if only my X-T1 could keep up with the task of reliably maintaining autofocus on fast moving hockey players I'd ditch my Nikon gear without a second thought. Sadly, this hasn't been the case and I continue to lug my D750 around with a 70-200mm f/2.8 attached to catch the action on the ice. My beloved X-T1 is relegated to capturing candids, wide angles, and other more static photo ops at the games. To be fair, I'd never had a comparable lens on the X-T1 to pit against my DSLR rig in an apples to apples comparison. I'd played with my XF 55-200mm but it was much too slow. I'd also experimented with my XF 23mm and 35mm lenses. They showed a glimmer of promise but the focal lengths weren't really that great for hockey rinks. Most of my shots are toward the long end of 70-200mm so I really needed that range to judge whether the X-T1 was up to the task. Well, Fujifilm finally came out with the 70-200mm equivalent 50-140mm lens late last year. Since then I have been bugging my Fujifilm rep for an eval copy and he finally got one in my hands last week. 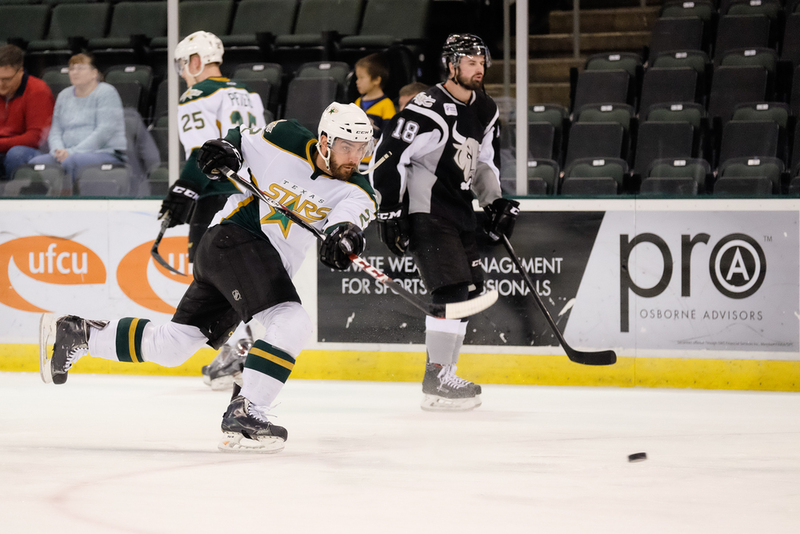 The Texas Stars only had one game at home before hitting the road for a 2 week road trip so I eagerly headed to the rink to see what the X-T1 could do with the 50-140mm attached. This lens is by mirror-less camera standards a beast. It's smaller and lighter than a DSLR equivalent but not as much as you might think. This lens feels like a hefty hunk of metal in my hands. It feels solid and the build quality is reassuring. Fujifilm really outdid themselves on this thing. With the lens hood attached it looks massive. With the small X-T1 attached this rig is decidedly front heavy. You don't get the sense of balance that you would feel with a comparable DSLR rig. When I switched on the camera I immediately noticed a hum from the lens. Kind of sounded like a small fan actually. Ah, I thought, the image stabilization is on - that's what it is. I turned off the IS switch but the sound remained. If I put the camera in image playback mode the sound would go away. As soon as I was back to shooting mode the sound was back. As heavy as this lens is I'm sure there are some large glass elements inside and I'm guessing there is some sort of active dampening on at all times. I was left wondering what that does to the already not-so-great battery life of my X-T1. Before I attempted to use my X-T1 and the 50-140mm lens to shoot incredibly fast athletes, I configured the camera with every optimization I could find in my research online. The following settings were configured. At the rink I shoot at ice level either from a hole in the glass or from the player bench. I don't shoot through the glass at games. Yes, I have been hit with pucks, sticks, players. Don't worry, no Fujifilm products have been harmed. While I'd hoped to get some initial time working with the lens at a practice or morning skate prior to a game, a delivery snafu resulted in me not getting it in time. The best I could do was to see how the X-T1 and 50-140mm lens fared in the brief warmup period before the game. 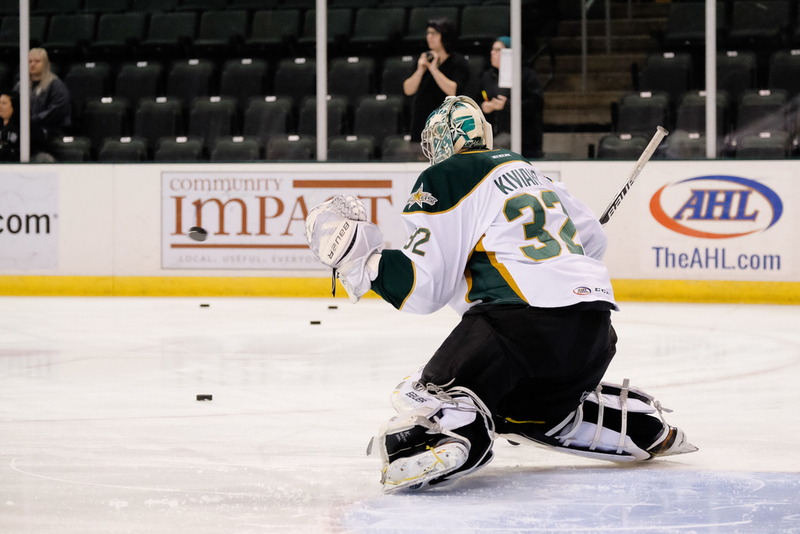 When I shoot hockey, I track players while trying to lock the autofocus on their jersey logos. I keep the subject under the AF point (center only in the case of the X-T1). If the players are moving, every shot is burst of at least 2-3 frames. During warmup I was able to get a feel for how well this Fujifilm combination could keep up with the players moving laterally and towards me. Rapidly approaching players racing to the net or to touch up a dumped puck are the most challenging shots even for my DSLR rig. How did it go? Well, I'll cut to the chase and say that the X-T1 and the 50-140mm won't be replacing my Nikon rig for hockey. Realistically I didn't think it would but I wasn't going to write off the possibility without at least trying as close of a match in lenses as I could. I love my X-T1 and I so wanted it to work, at least well enough to get an acceptable number of keepers. So what went wrong? The biggest problem I saw was with initial focus lock. The X-T1 just wasn't able to acquire focus quickly enough for oncoming players. These players move quickly and erractically and when they are charging toward the net or boards split seconds count. I have to get my shot and get my camera out of the hole before it meets its demise. It simply took too long for the X-T1 to get that initial focus on fast approaching players. If I started to focus at the blue line, they would be right up on me before the X-T1 could get a lock and produce sharp shots. Side to side movements were a little better, although the X-T1 would stutter with obstacles like other players briefly passing through. Movement of hands and sticks seemed to easily distract the X-T1 from the jersey logos as well. The X-T1 did hold on to the main player relatively well when other players were in close proximity. I didn't have too much trouble with it jumping to the high contrast board ads (something that can sometimes be a problem on a DSLR with expanded autofocus points), as long as I did my part to keep the focus point over the subject. Some samples from warmup are below. These are all camera JPEGs that I brightened just slightly in post as needed. No other modifications were made. On the static shots, the lens was tack sharp wide open. On action shots, the sharpness was often lacking because the focus just wasn't nailed. Shooting at f/2.8 by necessity, there isn't a lot of room for error. I was bursting the shots on all of these where the players were in motion, capturing 3-5 frames on each typically. These are the best of the burst sequences. I expect some frames to be out of focus when shooting with release priority. However, I was doing good to get one acceptable frame per burst. Setting to the autofocus priority to focus didn't help much because it took too long to lock on. This wasn't encouraging since the players weren't moving at full throttle in warmups. Click for larger versions. 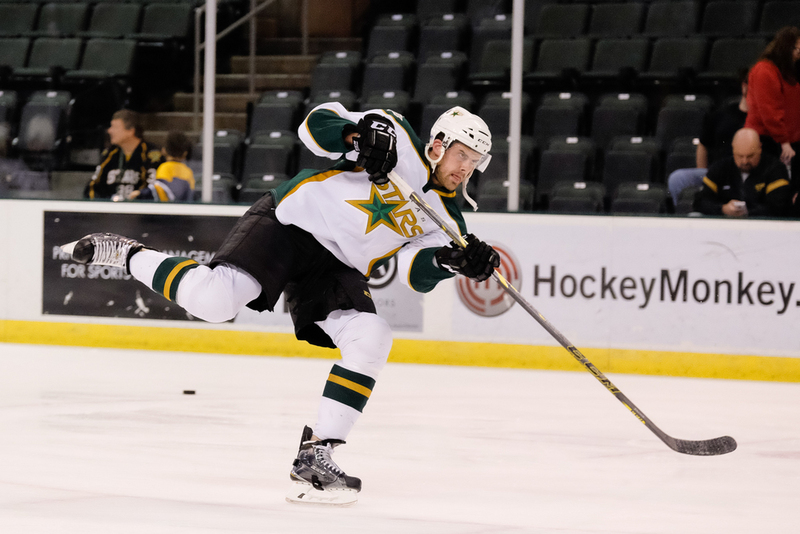 One interesting item of note - my typical exposure with my Nikon rig at the Cedar Park Center where the Stars play is F/3.2, 1/1000, ISO 2500. The 1/1000 shutter speed is about as slow as you want to go with pro hockey players. I had to set my X-T1 to F/2.8, 1/1000, ISO 3200 with the 50-140mm lens and the exposure was still just a tad bit darker than I'd like it to be (easy enough to bump up 1/3 to 1/2 stop in post.) Every lens varies a bit in my experience and my X-T1 seems to generally be about 1/3 stop down from my D750. In combination with the 50-140mm lens I was a bit over 2/3 stops down. I don't like taking the X-T1 above ISO 3200 and this put me right at the edge. On the Canon and Nikon DSLR platforms I have used there is more control over continuous autofocus. You can typically adjust the "strength" of autofocus lock before the camera tries to focus on something else. The X-T1 doesn't have this ability that I can tell. You can usually adjust the number of points around the primary focus point of a DSLR where the camera will use the peripheral points to track a moving subject. Again, the X-T1 doesn't offer this level of fine control. The DSLR 70-200mm lenses usually have a focus limiter to minimize seeking through the entire range when the subject is further away. 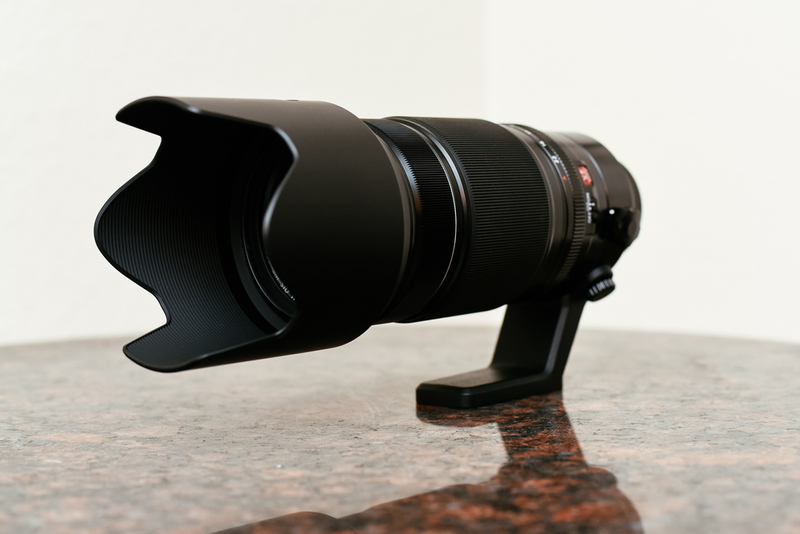 I use this quite a bit at the rink and the 50-140mm doesn't have this feature. It did seem like some of the slowness was rooted in the fact that those heavy elements were being pushed and pulled through a large range. Unfortunately, my experimentation in a game warmup didn't give me the confidence to use it on my X-T1 during the game. The keeper rate was abysmal compared to my Nikon rig and I just couldn't risk blowing critical shots in game play. No hard feelings on my part. It was worth a shot. Let me be clear at this point. I'm not knocking the X-T1 or the new lens at all. I love my X-T1 and I was attempting to push it into an area of photography that it simply isn't designed to excel at. So the X-T1 and the 50-140mm aren't the optimal sports rig. That's probably not going to surprise many people. What about other shooting other stuff? Well, first of all as I said before this is an amazingly sharp lens - even wide open. Are you the portrait guy who loves to shoot at F/2.8? This lens will do for you just fine. It's damn sharp. I think it's sharper than my Nikkor 70-200mm F/2.8 VR II. It's certainly right up there. It's also just as sharp as my XF prime lenses. See for yourself below. I couldn't get a model other than Chloe the poodle on short notice but her fur serves to help illustrate what you get at F/2.8. Camera JPEG, no post production sharpening at all. Note: I do always keep my in-camera sharpening at +1. My sample lens arrived at an awkward time for me in the middle of a busy week. I'd hoped to get a portrait session together in addition to the hockey test but on short notice that didn't work out. I decided to take it on a short photo walk instead. As luck (or the lack of) would have it, the weather wasn't very cooperative and it was a blustery, rainy afternoon when I had the opportunity to take it out. It's a weather resistant lens though and a bit of drizzle didn't seem to bother it at all. Here are a few shots from my little walkabout. All are camera JPEGs with the Classic Chrome film simulation, slightly adjusted for contrast in Lightroom. The 50-140mm was already sharp wide open and it of course didn't disappoint when I stopped down to mid-range apertures of F/5.6 or F/8. I made use of the image stabilization feature and that seemed to work well. While I didn't test to see how slow of a shutter speed I could get, it did enable me to handhold at 1/60 and get sharp images at the longer focal lengths. It seemed to settle fairly quickly with a stable image in my viewfinder. I didn't get to walk very far, maybe 30 minutes before I decided it was too cold to remain outdoors. My time was sufficient to decide that the 50-140mm is an exceptional lens in the image quality department. My only issue with it on a photo walk is its weight. It was heavy on my shoulder in my Maxpedition bag with a generously padded shoulder strap and the weight was quite evident while shooting. It is also big and conspicuous, which is probably not a huge issue in Austin where you can't throw a rock and not hit a photographer. If you are looking for a discrete package for shooting on the streets, this won't be the ideal choice. While this Fujifilm lens is a formidable, perhaps even optically superior alternative to the workhorse 70-200mm F/2.8 of the DSLR world, I'm not sure it will find a place in my camera bag - at least not right now. If it could work for my sports shooting, I'd be all over it. As it stands, I see it as more of a studio lens. Part of what I really enjoy about my X-T1 and my XF prime lens set is the amazing quality in a diminutive size. I do have a XF 55-200mm that gets use at certain outdoor events and some portraits. Whenever possible though, I prefer to travel light. The 50-140mm lens is the first XF lens that gives me pause because it is really starting to get a little too close to that DSLR lens size and weight. If you got into mirror-less cameras to lose a bit of gear weight, this sizable lens may be off-putting. Fujifilm is doing great things with their products. They listen to their customers, they fix bugs that arise - heck they even add new features to their cameras via firmware. What other camera company continues to add value to the product after they have your money? They have an incredible piece of glass here that will hold its own against the DSLR equivalents. If you need that 70-200mm F2.8 experience for your X camera, this is a no-brainer in most situations. If you're shooting action stuff like me, it looks like we're going to have wait a little longer for better autofocus performance in Fujifilm cameras - assuming they decide to seriously pursue that area. I can only hope they will.